Experiment, explore and discover your own creative identity while developing essential fashion design skills. You’ll benefit from our tutors’ extensive industry experience and contacts, equipping you for success in the competitive world of fashion. The MA Fashion Design programme gives you the freedom to pursue your creative ambitions through experimental practice, personal research and critical evaluation. Working in purpose-built studios, you’ll cover core topics such as sketchbook development, visual research, sustainability and design, construction techniques and materials, CAD (computer-aided design) and fashion portfolio skills. We focus on a combination of hand making skills and techniques alongside the use of cutting-edge technologies; our superb facilities include bespoke pattern-cutting tables and industry-standard machines, traditional print and textile facilities as well as the latest technical and 3D printing technology. You’ll learn from tutors with years of professional fashion design experience and strong industry connections. They will work closely with you to help you develop your individual strengths and to enhance your employability. You’ll benefit from professional skills workshops, exposure to industry through live briefs and guest lectures, and the opportunity to showcase your work in Winchester and London. The teaching team’s extensive contacts can also facilitate internship opportunities with leading fashion companies. We welcome students from a range of backgrounds, including recent graduates and those with some professional experience who are looking to advance their career. You’ll study with talented students from around the world, developing a global network of friendships and professional contacts that will be invaluable as your career progresses. Co-location with MA Textile Design students creates a stimulating studio environment in which students share ideas and draw inspiration from one another’s work. As you’d expect from a Russell Group university masters degree, there is a strong emphasis on research within the course. We encourage you to underpin your studio work with an understanding of ideas and contemporary issues in fashion and society – for example, past students have investigated the idea of sustainably produced wedding dresses, the issue of modesty and clothing, and zero waste in fashion. In addition, you’ll be able to attend lectures and conferences run by the School’s renowned research and special interest groups, such as the Winchester Luxury Research Group, In The Loop and the Fashion and Sustainability Forum. This is a one-year, full-time masters degree, with two taught semesters followed by a period of independent studio work for your final project in the third semester. In the first semester we’ll set project briefs for you to work on in the studio. These will give you experience of different ways of working and encourage you to experiment with ideas and materials while building your practical skills. In semester two you’ll have the freedom to explore your own ideas for your final project, building on your personal interests and the skills and knowledge you have gained in the first semester. You’ll write a project proposal, research your ideas and experiment with fabrics and techniques, with the aim of producing a set of toiles (calico prototypes) of your final project collection. You’ll also work in a group to plan and run an interim exhibition. You’ll spend the final months of the course working on your pieces in readiness for a professional photoshoot and major exhibition on campus, which you’ll help to organise. Throughout the year you’ll have access to workshops covering a range of skills and techniques, from primary research to developing a sketchbook and CAD (computer aided design) to creating mood boards and a professional portfolio. The course also includes two Professional and Academic Skills modules. These cover the design-related research approaches that you’ll use during the year, and the professional skills that will help you to progress when you graduate. Workshops tailored to the specifics of the fashion industry will help you develop your portfolio, CV writing and interview skills. We see the MA as a bridge between student and working life, encouraging a professional approach to studio work. Tutors’ industry experience means they are well placed to help you plan your next steps. In semester two you’ll choose an optional module from a wide range, enabling you to pursue an interest in an area that complements your design studies. Topics range from the conceptual (for example looking at visual and digital cultures), to the business-focused (such as marketing and entrepreneurship). a bespoke pattern-cutting room, industrial sewing machines, multi-thread overlockers for woven and knitted fabrics, professional dress stands for menswear and womenswear, as well as a fusible press and vacuum presses. traditional and digital printing facilities including a Mimaki digital printer, heat-transfer for printing, 3D scanners and printers. large flat bed printers and laser cutter. the WSA library, which houses comprehensive collections of fashion books, journals and magazines as well as a wide range of other arts-related materials. You’ll be taught by staff with impressive industry credentials who bring to the course a wealth of professional experience and invaluable contact networks. In addition, their specialist knowledge of sustainability in fashion, a critical issue in today’s fashion industry, will inform your learning. Programme leader Delia Crowe has nearly 20 years’ experience working as a womenswear designer for many well-known British high street brands. This has included extensive worldwide travel and the building and sustaining of close working relationships with practitioners and factories in many countries, including China and India. She organises and chairs the School’s annual Fashion and Sustainability Forum; research interests include taking the long view on sustainability, guilt vs responsibility and our throwaway culture. MA coordinator Reem Alasadi has presented her womenswear collections in London and Tokyo and specialises in highly innovative design, specialising in artisanship and hand-crafted excellence. She brings a wealth of knowledge and expertise in retail, design, visual marketing and merchandising to the course. She also has considerable expertise in sustainable and ethical design, and has led many workshops in non-waste design. You’ll have plenty of exposure to industry during the year as well as numerous opportunities to put your skills into practice and gain valuable experience. Arrange an internship – tutors are happy to consult their contact books in order to help you apply for work experience opportunities. Recent students have worked with Thomas Tait, Samson Soboye, Bolangaro Trevor, Bruce Oldfield and Xiao Li. Hear from industry speakers – we invite external professionals and industry influencers to share their insights into contemporary fashion design. 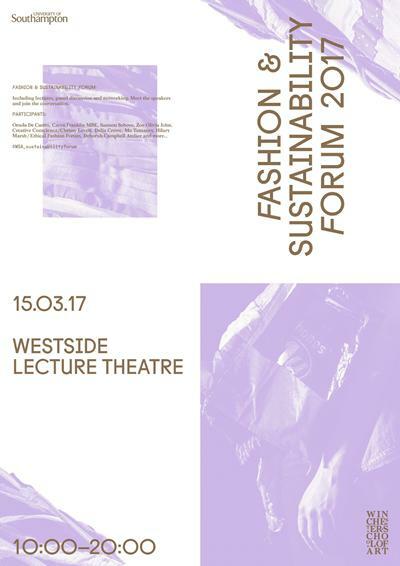 Recent speakers include Paul Alger, Director of UK Fashion and Textile Association, and Adam Jones, ex Kenzo and Dior designer with his own couture label. 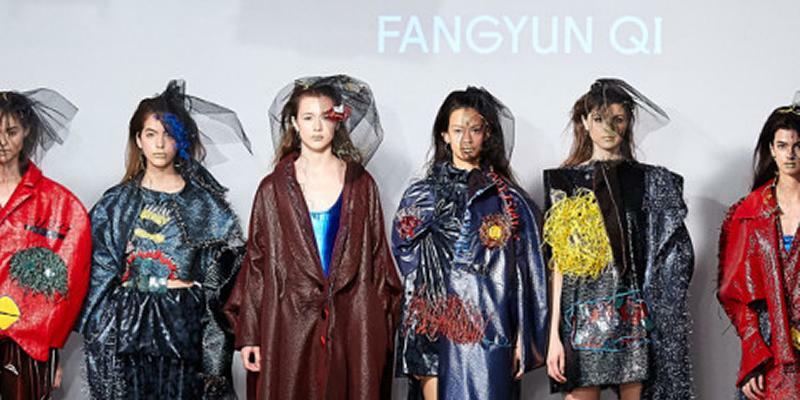 Showcase your work and make industry connections at major fashion events – we were among a small selection of UK fashion design masters courses to be invited to show work at the London Fashion Week Tomorrow’s Talent event. Enhance your professional profile – a professional photo shoot and video showcases the students’ collections; the best collection pieces are selected for an annual lookbook to help you promote your work. Learn from academics with professional fashion design experience and extensive industry contacts. Explore creative ideas in the studio, underpinned by robust research and critical thinking skills, and learn essential practical techniques. Industry links enhance your learning through guest lectures, live project briefs and internship opportunities. 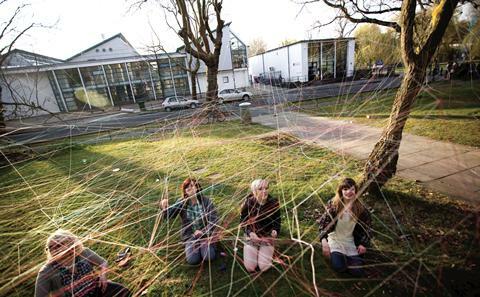 Be part of a community of artists on the dedicated Winchester School of Art campus, less than an hour from London’s fashion scene. Superb studio space and unrivalled facilities, including traditional and high-tech digital equipment and industry-standard software. A personalised approach to teaching; tutors offer tailored support to help you achieve your creative and career-related aspirations. Specialist expertise in the area of sustainability in fashion, a key issue in today’s industry. 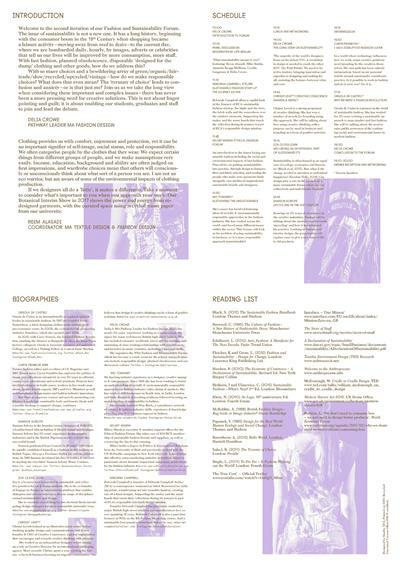 The admissions policy for the MA Fashion Design is based on students having a good honours degree in a relevant subject (2.2 or above) or an equivalent standard in other qualifications approved by the University. MA Fashion Design at Winchester School of Art is both practice and theory based. It is important that you demonstrate your artistic ability in a portfolio, as this will be the determining factor for entry. Your portfolio should include evidence of the processes behind final work (e.g. drawing and sketches; try to include observational drawings and Computer Aided Design (CAD) work), examples of practical work (including toiles/muslins and final garments or outfits), and images of your final work (e.g. catwalk/runway show, ‘look-book’ or photo-shoot). Please include a variety of projects in your portfolio. Your portfolio should not exceed ten megabytes in size. If you would like the opportunity to discuss any details of the course in more detail, please email PGapply.FH@soton.ac.uk. You should choose option modules totalling 10 ECTS/20 CATS in Semester 2. All option modules are offered subject to availability and timetabling constraints. We produce creative, technically accomplished graduates with a professional approach, who are sought after by top employers. You will be able to choose from a range of fashion roles, including fashion designer, costume designer, pattern cutter, illustrator, fashion/photographic stylist, trend forecaster, fashion buyer, visual merchandiser, social media, blogger or fashion editor. This degree is also excellent preparation if you are interested in taking your studies to PhD level. Past students have gone on to jobs as fashion designers and design teachers all over the world. Others have started their own labels; one former student who has established a label in Hong Kong recently brought her collection to the Pure trade show in London. Many students have been successful in applying for internships, for example at Gareth Pugh, Roksanda Ilincic, Jasper Garvida for Ethologie and Thomas Tait. Two students who undertook internships at notjustalabel.com now have their own labels in Hong Kong and New Delhi. You’ll learn through a mix of lectures, seminars, tutorials and workshops, as well as studio practice and individual study. Guest lectures and visits to London shows and exhibitions will enrich your learning. A relatively small intake means we can take a personal approach to teaching, working closely with each student throughout the course to help them realise their ideas. We’ll encourage you to be creative and ambitious, recognising your individual strengths and building your confidence as a design practitioner. Tutors are in the studio every week, working with students one-to-one and in groups, running workshops and discussions, and leading peer-to-peer feedback sessions. You’ll receive formative feedback on a weekly basis, ensuring your learning is on track. Transferable skills are embedded into the modules; for example, you’ll develop your ability to work in a team, plan and execute projects, and think critically and analytically. your portfolio and final project collection. evidence of the research underpinning your studio practice. reflective assignments that critically evaluate aspects of your own learning, such as your approach to problem solving and team working. You’ll learn in a supportive, informal environment, and our approachable academics are committed to helping students achieve their potential. Every student has a personal academic tutor, who acts as a first point of contact for any queries you might have about the course or about personal matters. You’ll also have access to a wide range of University welfare, learning and support services should you need them. The rapidly changing nature of the global fashion industry presents challenges to the entire world: people, the environment, the design process; and through development and production: to the consumer phase and product end of life. Of course, sustainability is not a new issue – from the consumer boom of the post war period, through the ‘greed is good’ attitudes of the 1980s to a growing awareness of the issue, there is an increasing need for sustainable practices. >>> Educate - all parts of the manufacturing process, including the consumer. Change our throwaway (‘kleenex’) culture. >>> Create less need - encourage a ‘buy less, care more’ mentality. Denim, leather, even t-shirts – become worn and loved, increasingly precious. Can that translate into other products? Sustainability should be normalised, not fashionable. We cannot afford to let this issue go out of fashion.